Alliance Distribution Network (ADN) Canada is pleased to announce that in April 2010, Thinking Systems’ RADIOLOGY INFORMATION SYSTEM (RIS) was proudly installed at Norfolk Nuclear Medicine Services. ThinkingRIS is Thinking Systems’ Web-based RIS (Radiology Information System) product that is merged with ThinkingPACS (i.e., they share one single database). It offers the advantage of centralized storage for both images and patient information. ThinkingRIS allows clinicians or staff members to perform key tasks such as patient registration, scheduling, exam tracking, staff and resource management, report generation and distribution, etc., from any Windows computer on the network (Intranet or Internet). ThinkingPACS and ThinkingRIS are both scalable to fit the needs of institutions of all sizes, from a single-doctor practice to a large hospital. ThinkingPACS and ThinkingRIS are also based on an open architecture, using standard Microsoft Window operating systems (Windows 2000, Windows XP, Windows 2003, etc), and off-the-shelf hardware. KLAS-Award Winning ThinkingPACS and ThinkingRIS are proudly installed worldwide in leading hospitals, research institutes, imaging centers, and advanced doctors offices, including notables Yale-New Haven Hospital, Massachusetts General Hospital, University of Miami, Toronto Western Hospital (Canada), Weigong Hospital (Taiwan), Oklahoma Cardiovascular Associates, Radiologix, State University of New York at Stony Brook, and many more. With over ten years in business in Canada and twenty PACS sites installed in Canada, Alliance Distribution Network (ADN) Canada distributes KLAS Award winning Thinking Systems PACS and RIS solutions across Canada, as well as both Digirad and Medi-Link. For additional information please contact ADN directly. Alternatively, please feel free to join the discussion on our new Facebook Page. This Refurbished PHILIPS - ADAC DUAL-HEAD CARDIO MD (2002) is a fixed 90-degree Cardiology Camera designed to optimize office-based practices. Featuring excellent image quality, high throughput, and a small footprint. 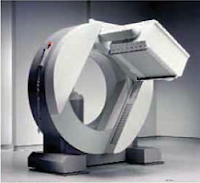 ADN Canada offers fully refurbished (pre-owned) gamma cameras. 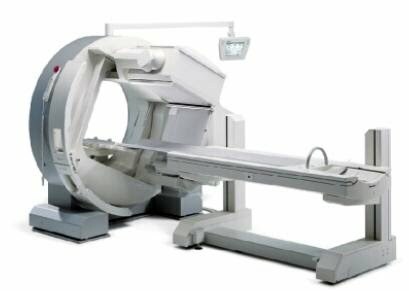 Systems selected for refurbishment are carefully chosen, refurbished, tested, and warranteed to ensure you receive a high quality nuclear medicine system. Every refurbished unit provided is fully warranted and supported, virtually guaranteeing a risk-free investment and ensuring the most cost-effective maintenance. ABOUT Alliance Distribution Network (ADN) Canada - Celebrating it’s 10 year Anniversary, Alliance Distribution Network (ADN) Canada distributes KLAS Award winning Thinking Systems PACS and RIS solutions across Canada, as well as both DIGIRAD and Medi-Link. Alternatively, please feel free to join the discussion on our new Facebook Page. The Siemens e.cam Dual-Head Variable Angle nuclear camera enables 180°, 90° and 76° detector positions allowing the system to optimize sensitivity and throughput for general purpose, cardiology, oncology and neurology studies. The systems full range of motion allows for caudal and cephalic detector tilt. Service contract to meet your needs. Looking for a specific refurbished modality or unit? We can likely source it for you. For additional information please contact ADN directly. Celebrating it’s 10 year Anniversary, Alliance Distribution Network (ADN) Canada distributes KLAS Award winning Thinking Systems PACS and RIS solutions across Canada, as well as both Digirad and Medi-Link. Alternatively, please feel free to join the discussion on our new Facebook Page. Alliance Distribution Network (ADN) Canada is pleased to announce that Medi-Scan Diagnostic Services also selected and installed Thinking Systems KLAS Award winning PACS and RIS solutions 2009. Celebrating it’s 10 year Anniversary, Alliance Distribution Network (ADN) Canada distributes KLAS Award winning Thinking Systems PACS and RIS solutions across Canada, as well as both Digirad and Medi-Link. For additional information please contact ADN directly. Alternatively, please feel free to join the discussion on our new Facebook Page. + ‪Kawartha Diagnostic Imaging chose Thinking Systems for their PACS and RIS requirements. + Alexander X-ray chose Thinking Systems for their PACS and RIS requirements. + Pine Ridge X-Ray chose Thinking Systems for their PACS and RIS requirements. Healthcare systems are undergoing a series of complex transformations. Consumers are demanding better services and information that enables provider transparency and a more personalized service delivery model. This shift in healthcare has already begun, whether or not healthcare delivery organizations are ready to respond or not. We are quickly moving away from the traditional models of medicine and towards a patient-centric model with the intent to deliver more efficient care, whilst simultaneously improving patient outcomes. The advent of new web 2.0 eHealth technologies is proving a powerful catalyst and today’s savvy consumers (patients) are demanding that the often slow-moving healthcare industry act in response to their evolving needs. With close to 70% of the Canadian Population online — it stems to reason that most people prefer to investigate their health concerns online before visiting a Physician. Moreover, these same people report that what they find online influences their treatment decisions. The increasing expectations of consumers is a clear reflection of wider societal changes that have been evolving for a number of years, however, the pace of these trends has recently accelerated. In particular, the ability to articulate and communicate (1:1) individual preferences and demands has been made far easier with advancing web technologies. Such tools, for example, have enabled even novice internet users to create and edit content online. It’s clear; today’s Patients are becoming better informed and more web savvy; increasingly seeking services that allow them to take an active role in managing their health. This (r)evolution is also driven by things like the increased adoption of online services via broadband and mobile devices; the enhanced ability to connect with individuals in other social networks; the continuing ease in submitting content online; and the growing participation of users with similar interests in online communities. People are flocking to online communities to share personal health experiences as well as learn from others with similar experiences or conditions. Patient feedback on treatments and providers for example, has begun to develop into an online system that generates transparency in the health system. Today’s web-savvy patients are using web tools to take responsibility for managing their own health status and care-path rather than always relying on experts or the 'doctor knows best' assumption. This self-service (self-care) trend effectively bridges the gap between caregivers and patients – before, during, and after the hospital stay and has far-reaching implications. One of the central components of healthcare delivery (and public health at large) is information. The use eHealth (ICT) technologies related to gathering and retrieving patient data is already important and will only become more important in the future. Millions of dollars are spent each year in Canada on patients with chronic diseases who do not receive the recommended care designed to keep their conditions under control. New web 2.0 consumer tools and service models for chronic conditions are taking shape and the trend toward measurement of clinical outcomes is increasing and irreversible. As both regulatory agencies and consumers insist today on measuring the quality of care across a wide variety of clinical areas, “best-practice” treatment models emerge. This follows the growing awareness that quality equals affordability and that the best way to control long-term costs is to provide higher quality care today. Whether the goal is to heighten prevention, detection, integration, or extend patients self-management, the advent of new web 2.0 eHealth technologies is shifting the healthcare delivery paradigm to focus on connecting individuals rather than infrastructure – putting patients (and clinicians) at the centre of new models of connectivity for improved communication and collaboration. The future has a way of arriving unannounced.